10 Foods Not to Eat During Pregnancy | Eat This! Good nutrition is of utmost importance during pregnancy. We all know that we’re supposed to avoid alcohol and cigarettes while pregnant, but what about food? Here are ten foods to avoid during pregnancy. This is not an exhaustive list of all foods to be concerned about, but these 10 foods not to eat during pregnancy features the most important ones. 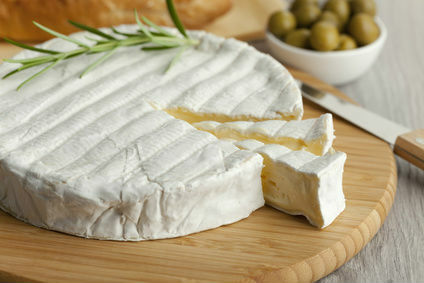 Imported soft cheeses such as Brie, Camembert, Roquefort, feta., Gorgonzola, queso blanco, queso fresco, and any blue-veined cheeses are usually made from unpasteurized milk and may contain a bacteria called Listeria that can cause miscarriage. If the cheese is non-imported and made with pasteurized milk it is safe for pregnant women to eat. Raw beef and chicken may contain salmonella and other bacteria. Even rare meat should be avoided. Sushi and other raw seafood should be avoided as well. Raw eggs may be contaminated with salmonella and should be avoided. This includes foods that contain raw eggs such as eggnog, Caesar salad dressing, and Hollandaise sauce. Fish that contains high levels of mercury should be avoided because mercury may cause brain damage. Fish highest in mercury include swordfish, shark, king mackerel, marlin, grouper, and orange roughy. Fish that are also high in mercury and should only be eaten in moderation (2-3 times per month) are halibut, canned white albacore tuna, fresh bluefin ahi tuna, sea trout, lobster, and bluefish. Fish exposed to high levels of polychlorinated biphenyls (PCBs) from contaminated lakes and rivers should be avoided by pregnant women. These fish include striped bass, trout, pike, walleye, bluefish, and salmon. These fish are okay if purchased in a store, but extreme caution needs to be taken when eating these fish from local lakes and rivers. Deli meats are often contaminated with listeria, which has the ability to cross the placenta and may cause miscarriage. It is recommended that pregnant women reheat deli meats until they are steaming if they are planning to eat them. Pate or other meat spreads may also contain listeria, which may cause miscarriage. Unpasteurized milk may contain listeria, which may cause miscarriage. The soil in which vegetables are grown may contain toxoplasmosis, so it is important to thoroughly wash all vegetables before eating. Raw sprouts have been linked to salmonella outbreaks in the past and many people advise pregnant women to avoid them.